Just weeks after refreshing the IdeaPad S10, Lenovo has officially introduced its first netbook to feature Nvidia Ion graphics. The IdeaPad S12 joins the Samsung NC20 as one of the few netbooks with both a 12-inch screen and a full-size keyboard, besides offering 1080p HD video output and decent gaming performance in games like Call of Duty 4 – as long as you tone down some of the settings. At $499, the price seems reasonable too. 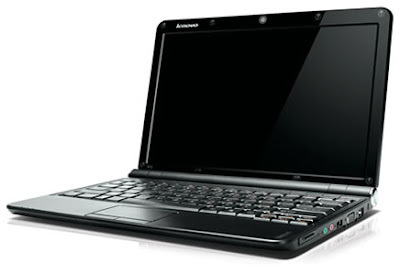 Apart from improved graphics, you’ll get more or less the typical netbook configuration – 1.6GHz Intel Atom CPU, 1GB of RAM and 160GB hard drive. Other features include wireless draft-N, Bluetooth, three USB ports, 4-in-1 card reader, webcam, and six-cell battery. A base configuration with Intel-based video will also be available, starting from $449, as well as a version based on the Via Nano processor and Chrome9 integrated graphics that will be available overseas only. Lenovo has also taken its first steps into Intel's Consumer Ultra Low Voltage (CULV) processors with the IdeaPad U350. The 13.3-inch system promises to deliver the relatively thin and lightweight design of an ultraportable but in a low-cost form. Starting at $649, customers can choose between Intel Core 2 Solo and Pentium ultra-low-voltage processors, up to 8GB of DDR3 memory and up to 500GB of hard drive storage.